The Disney Princesses meet-and-greet in RALPH BREAKS THE INTERNET: WRECK-IT RALPH 2. Courtesy of Walt Disney Pictures. If there’s one thing we can count on, it’s WRECK-IT RALPH to come in an smash any sort of expectations. The filmmakers Rich Moore and Phil Johnston turned things on their heads with their first feature, delivering a multitude of astute observations about gaming, and now, in RALPH BREAKS THE INTERNET: WRECK-IT RALPH 2, they’re turning their attention to the world-wide web. 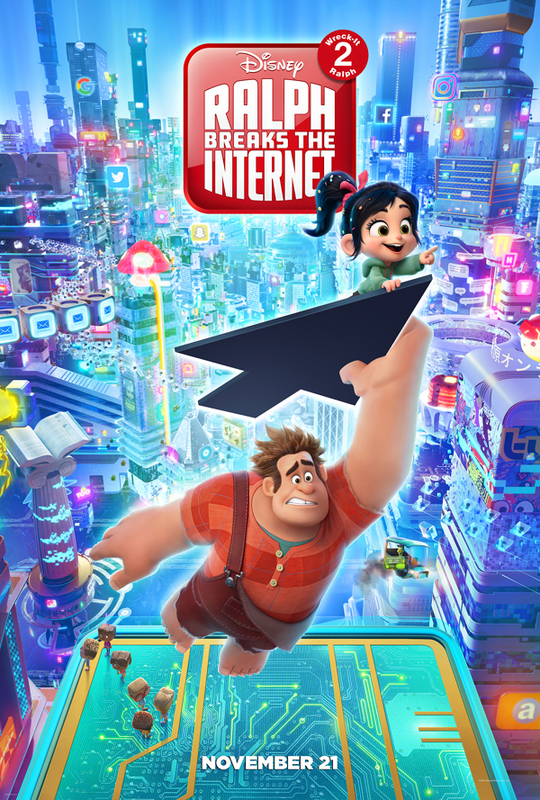 The new trailer shows Ralph and Vanellope discovering all the magic of the internet. But specifically, it spotlights the Mouse House’s IPs – like Marvel, The Muppets and Star Wars – all through the gateway of their in house OhMyDisney.com site. And whilst there, they meet ALL the Disney Princesses. Take a look at what we like to think as the most ambitious cross-over event in Disney history (sorry, INFINITY WAR). What a trip it is to see Pocahontas, Mulan, Ariel, Aurora, Cinderella and Snow White in this style of animation. It earned a hearty chuckle seeing Cinderella breaking her glass slipper, ready to bar brawl with Vanellope (Sarah Silverman) – or, what I call, my forever mood. Cinderella is ready to cut someone in RALPH BREAKS THE INTERNET: WRECK-IT RALPH 2. Courtesy of Walt Disney Pictures. It’s also pretty astounding seeing the brand poking fun at it’s female-fronted/ not-so-feminist legacy, hearing Rapunzel (Mandy Moore) ask Vanellope, “Do people assume all of your problems got solved because a big, strong man showed up?” Well played, Disney. Well played. RALPH BREAKS THE INTERNET: WRECK-IT RALPH 2 opens on November 21.